Dealing with the loss of alpacas. Home/Willowbrook Chronicles/Dealing with the loss of alpacas. 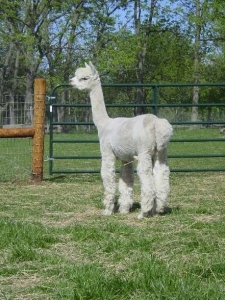 We have lost two alpacas within the space of a week, both of them in their teens. The first was a fourteen year old female, Sushi. She appeared well at morning feeding time and again later when checking water. Just before lunchtime we found her dead. There was no obvious cause of death. Sushi was a character! She loved neck rubs, most of the time, but could spit at the drop of a hat if she felt like it. 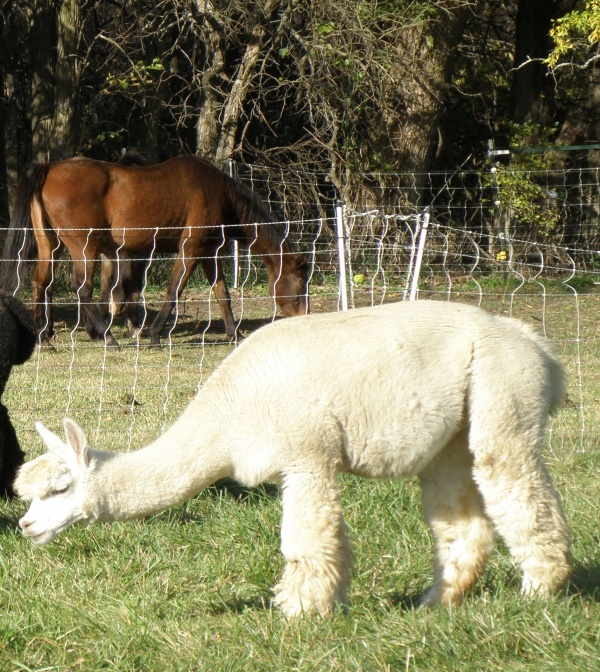 When visitors came to the farm, Sushi was always the perfect PR alpaca, letting people pet her and take pictures. We were unprepared for her sudden death but glad that she did not have a prolonged illness. Our second loss came exactly a week later. In late afternoon while filling up water troughs, I noticed that one or our herdsires, Titanium, was having problems urinating. We called our veterinarian immediately and had him loaded up and to the vet within 30 minutes. An ultrasound showed a large mass in his bladder. The veterinarians were unable to run a catheter to empty the bladder and told us that bladder surgery had a minimal success rate. With the alpaca already under sedation we had to let him go. All of this in just over an hour. Titanium was a Peruvian Legacy son and the first herdsire we purchased. He had a wonderful temperament, was easy to manage and gentle with the ladies while getting the job done. His death simply floored us. Anyone with livestock has to deal with deaths whether from stillbirths, illness or old age. It’s part of the farmer’s life and you just carry on. Sometimes there are animals who because of their personality affect you more deeply. This is one of those times. By willowbrookadmin| 2017-12-29T20:48:54+00:00	October 5th, 2016|Willowbrook Chronicles|Comments Off on Dealing with the loss of alpacas.